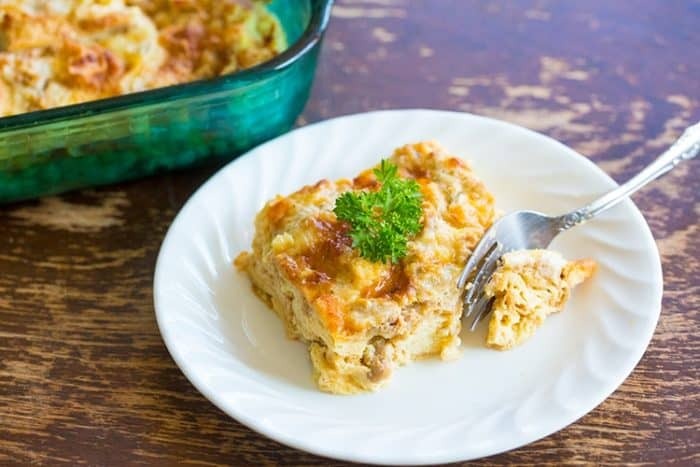 I can’t believe that it’s already the season for holiday breakfast casseroles! I made this Overnight Sausage & Croissant Breakfast Casserole for Canadian Thanksgiving, which was really early in October this year due to how the dates fell. 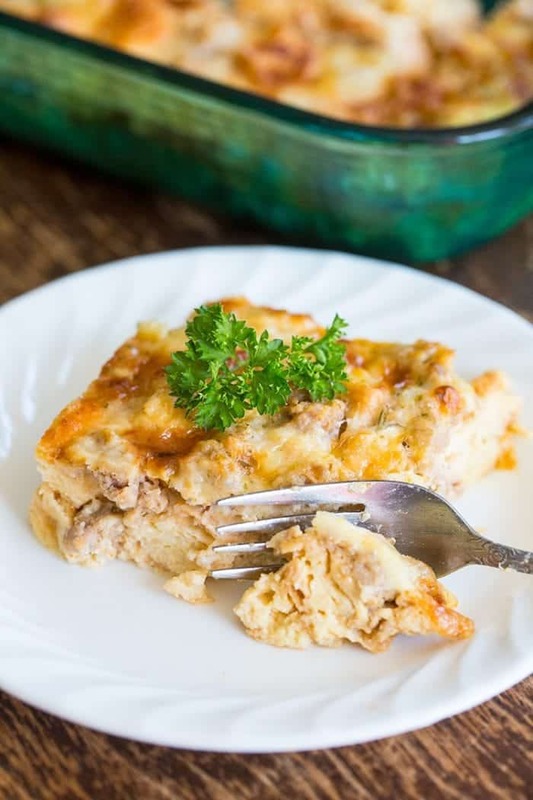 While I will always love an amazing sweet french toast type casserole, there is always love in my heart for a good savory breakfast casserole. Thus this sausage and croissant casserole was made – and devoured, I might add. 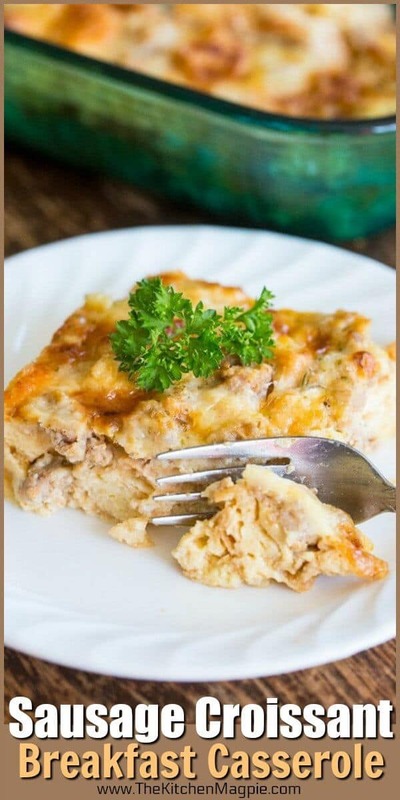 Overnight Sausage & Croissant Breakfast Casserole. Have I ever talked about my love for breakfast sausage? I might even like it more than bacon – I know, that’s just plain crazy talk. However when it comes down to my favourite breakast sandwiches, it’s always a sausage and egger at A&W. It’s definitely always a sausage McMuffin at McDonald’s. Ugh. Now I totally want a sausage breakfast sandwich. I will pass on bacon every single time that there is the option of pork breakfast sausage, without fail. So of course, it had to be a sausage & croissant breakfast casserole, not a bacon one for Thanksgiving morning. Fry up the breakfast sausage until fully cooked and no longer pink. Drain. Tear up the croissants into one inch pieces and place in a well buttered 9×13 pan. Whisk together the eggs, milk and cream. Stir in the cheese. ensure the eggs are cooked. So my new overnight sausage & croissant breakfast casserole recipe is for my fellow sausage lovers – and those in-between of course. It’s ok if you like bacon better, we can still be friends. You should definitely try this recipe though, you might be converted over to the dark sausage side. If you can, please try to use the garlic and herb cheese, it makes ALL the difference when it comes to flavour in this casserole! 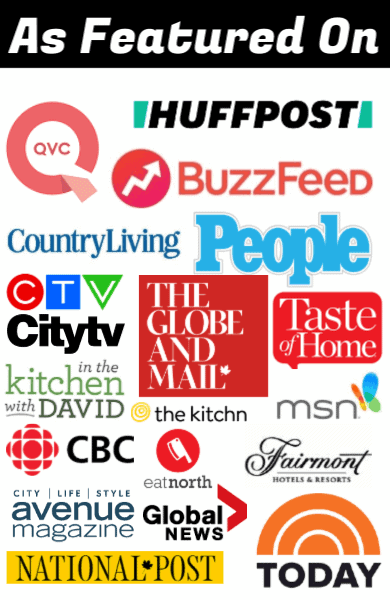 There are many companies that make it, it’s very easy to find! 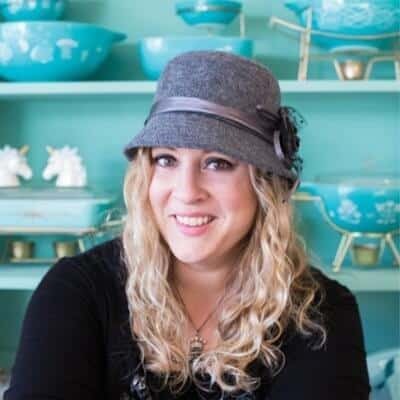 PIN this to your BREAKFAST & BRUNCH BOARD and Remember to FOLLOW ME ON PINTEREST! Overnight Sausage & Croissant Breakfast Casserole is probably my favourite new breakfast casserole! If you love breakfast sausage, this is the recipe for you! Tear up the croissants into one inch pieces and place in a well buttered 9x13 pan. Pour over the croissant pieces and stir in slightly to get the cheese spread out a bit. In the morning, preheat your oven to 350 °F. Cook in the oven for 45-55 minutes or until the casserole is firm and set - and has a minimum temperature of 165°F to ensure the eggs are cooked. You can sub in Italian sausage for a different taste as well! Use plain mozza cheese instead of the flavoured if you do so. The only herb and garlic cheeses I have seen are spreadable and not able to be grated. Where do you find your cheese.